Masada is a fortress located in the Southern District of Israel, a site of the last Jewish resistance against the Romans in 73 C.E. It is a historically relevant site that has become a popular tourist destination. It became a UNESCO World Heritage Site in 2001. While Masada, unlike Jerusalem and Haifa, is not a district or city there is a lot to do and explore in the surrounding regions. The Dead Sea is 20-30 minutes away from Masada. It is known for being the lowest point on earth, being 1,400 feet below sea level. Besides its geographical traits, it is also known for its hypersaline waters which have health benefits, which have been proven to help treat psoriasis, rhinosinusitis, and osteoarthritis. If you are not after those benefits, you can still enjoy the perks of the salty water which allows you to float in deep water. Be careful about drinking the water, because it is ten times saltier than the ocean. In case you do, go over to the shore and rehydrate yourself. When visiting the Dead Sea, you can make it a point to visit other beaches close by like Ein Bokek Beach and Mineral Beach. Ein Bokek is free, with showers and changing rooms; a nice place to refresh yourself if you do not have a place in the area. Mineral Beach has mineral mud from the Dead Sea. You can give yourself a mud bath and coat yourself while staying on the shore. The Masada Museum holds a collection of finds by the Israeli archaeologist Yigael Yadin, who excavated Masada in the early ’60s. Among the archaeological finds of the region are Roman weapons like arrowheads and remnants of daily life like dates, barley, and pot shards from 73 C.E. Besides showcasing the finds, they bring the stories to life by featuring critical historical figures of the area like Herod the Great, Josephus Flavius, and Eliezer ben Yai whose lives mark different events in history from 1 B.C.E to 73 C.E. It is a great location to visit before visiting Masada itself to learn about the ruins. It is a location that has access to vacation rentals in Israel; you can check www.koshack.com for alternatives to the expensive hotels that are near the Dead Sea. 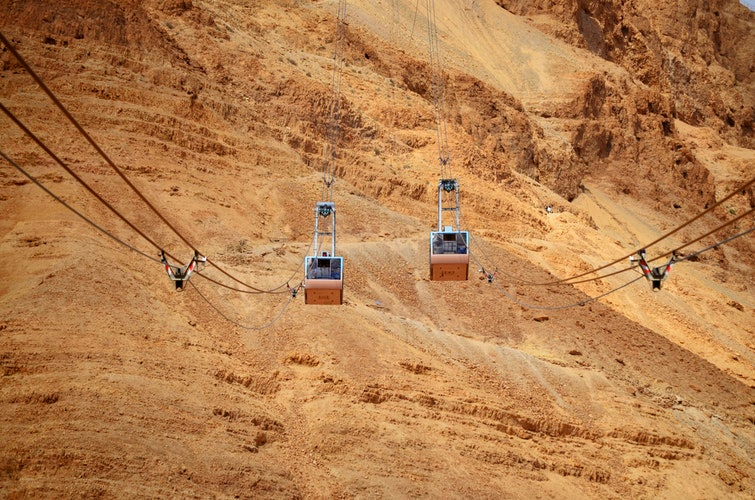 However, if you are in Jerusalem Vacation Rentals or holiday apartments in Tel Aviv, you can make Masada a day trip. Don’t miss out on this World Heritage Site!